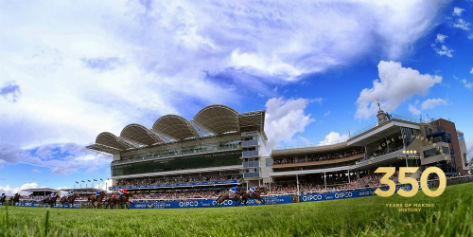 While the QIPCO 2000 Guineas at Newmarket on Saturday produced a result that was something of a head-scratcher – at least if you backed one of the market leaders – the same sponsor’s 1000 Guineas on Sunday went very much to form. The 11/10 favourite Minding led home an Aidan O’Brien-trained one-two-three, with Ballydoyle at 15/2 in second and Alice Springs at 16/1 in third. The only truly mystifying under-performance this time was from the second-favourite, Lumiere, who dropped out to finish last of the 16 runners. As with the colts’ race, won by Galileo Gold, the overall time recorded by Minding of 1 minute 36.53 seconds looks a notably good one, on a day when the wind generally had less of a quickening effect than 24 hours earlier. With just 0.62s between the two, one-on-one comparisons between the 2000 and the slightly slower 1000 – using TurfTrax’s unique sectionals – are both valid and interesting. Remember that the 2000 was run at a strong pace, with the result that many of the also-rans came back slowly. The fillies’ race was run in a rather less cut-throat style, following a slightly quicker opening furlong, but Minding rattled home when it mattered with a final furlong of just 12.70s compared to Galileo Gold’s 13.28s. That is more than three lengths quicker over the concluding 220 yards. The leaders’ sectionals for the two races had the 1000 ahead by about a length for that first furlong, then steadily further behind until the two-furlong marker, at which the fillies were 1.33s (more than seven lengths) in arrears, before Minding’s superior ability and stamina booted in. Anyone looking for reassurance that Minding’s stamina will hold out for the longer distance of The Oaks at Epsom should derive plenty of encouragement from just how strongly she saw off her race. It should also be noted that Ballydoyle ran the final furlong exactly as quickly. More questions remain where Galileo Gold’s stamina for The Derby is concerned. Interestingly, the fastest furlong in the 1000 came in the second one (as it often does in Flat racing), with Aljazzi posting a time of 11.26s for that section before going on to finish tenth. The fastest time for the next furlong came from Minding herself (11.46s), as she moved up to just 0.11s behind the leader Lumiere. But, crucially, this was fully 0.36s slower than Air Force Blue and Stormy Antarctic had recorded at the same stage in the colts’ race, a move which probably did that pair no favours. Thereafter, the mid-race pace of the 1000 steadied a little, with leader furlongs of between 11.62s and 11.71s as against the colts’ 11.24s and 11.53s. That left the fillies – and not just Minding – with more to give late on: all the first eight home in the 1000 ran the final furlong quicker than had any of the colts. The 1000 Guineas is another example of what looks a fair result – with TurfTrax sectionals helping to dispel any doubts on that score – though less contentiously so than had been the case with the 2000 the day before. Minding’s speed for the last three furlongs compared to her average race speed comes out at 100.4%, when 99.7% is par. That is close to peak efficiency, if indicative of a filly who even now might not have shown entirely how good she is. What Minding did show is that she is a very smart filly, and probably a better-than-average 1000 Guineas winner. In relative terms, she could probably be fancied to edge it over Galileo Gold were the two to meet later in the year with her benefiting from a fillies’ allowance. Whatever the outcome, that would be a head-to-head worth going some way to see! QIPCO 1000 Guineas of 2016 sectional times.